Welcome to Go The Distance – our new course all about distance learning. This is the next in our video series 'Student Life'. In each episode, we'll meet a genuine distance learner and see them at work, rest and play. Each student talks about a particular aspect of distance learning. Let's meet the next student – Juliet– and find out how she manages her academic reading! Juliet is studying 'Worlds of English' – so she definitely has a lot of reading to do! Making sense of academic texts is something every student has to deal with, but what are the reading challenges that distance learners face? Scroll down to find out how Juliet manages her academic reading. We asked Juliet how she integrates reading for her course with a busy home and social life. Watch the video for her tips on academic reading. While you watch, take some notes about the TWO tips Juliet gives for making sure your academic reading is the best it can be. We'll give you the answer in a quiz further down this page. 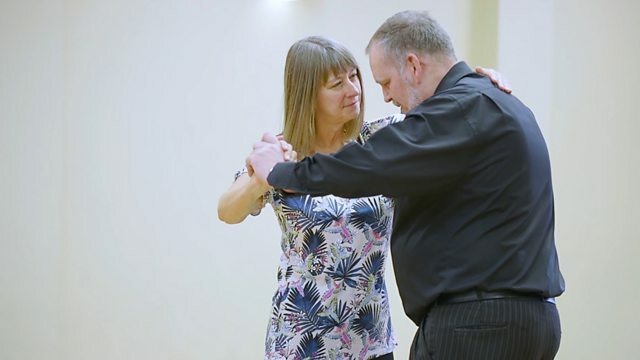 It was a friend of mine who just said to me one day, "Oh, I've signed up for ballroom dancing lessons, do you want to come?" I said: "definitely", so the two of us, off we went, no partners, and I just, oh yeah, on our own, beginners' classes, and I've – I've completely fell in love with it. And that same friend actually is the person that finally inspired me to do my degree course. I am studying worlds of English. The academic texts that I use all form a complete part of the course: they're, they're written as textbooks that are specifically for that course. I think to get the most out of reading the academic texts you've got to give it proper time and proper consideration. I always plan to do around about two hours a day reading and note taking. First of all, I'm looking to get the gist of the subject and understand it a little bit deeper and then I'll read it more thoroughly with an eye to answering a question – a particular assignment question. When I'm choosing the bits that I really need to focus on, my main tool is to keep referring back to the question that I am answering. If you're trying to sort out which bits of the text are going to be most relevant, just make best use of all the contents pages, the chapter headings, the indexes; always reading through the summaries, the conclusions and the introductions of each section actually gives you a good overview and you can pick out the bits that are going to fit in well. And also, using the contents is quite detailed: the chapter headings, they give you a good indication of what's going to be there as well. A typical day for me is, my morning ritual: I get up and sit down and read the paper cover to cover, and do the puzzles. After that I do like to go for a walk. That is one of my rituals and I usually take about an hour. I've got three or four good sort of four-mile routes around the local town which takes me through the parks. Then I come back, do all my household chores, bit of cooking, bit of gardening; my partner's out most of the morning playing golf - he comes home at lunchtime. As part of my in-depth reading, I note the key terms and then make sure I bring them into the assignment. Sometimes the specialist vocabulary can be a bit trying. Actually, the glossaries in the back of the books come in very handy for that. What I most like about the academic texts is that they can introduce new ideas to you: open your eyes to all sorts of subjects but there's always a bit of proof behind it. My top tips for learning would be: try not to miss anything out and don't just read the bits that you think will answer the question. The thing that I enjoy most about the academic studying is that it broadens the mind. Next big dancing event will be an exam which is an Argentine tango: that will be the ninth exam we've taken in that particular form of dancing. My dance partner and I like to take the dancing exams, it's by no means compulsory. For me they are just more of a marker, put all that work in and you have achieved a level: they're quite significant for me. You've watched the video and noted Juliet's two important tips about learning and working on your academic reading. What were they? Check your answers with this activity. Juliet said "Try not to miss anything out". Don't skip essential reading – was this one of Juliet's tips? Juliet said "Don't just read the bits that you think will answer the question". Read more than the minimum – was this one of Juliet's tips? Did Juliet talk about finding the best time to read? Manage your time – was this one of Juliet's tips? You've nearly reached the end of this unit. Hopefully you feel more ready to tackle academic reading! At the bottom of this page you can find links to more useful materials for distance learners – and would-be distance learners! But before we finish, let's recap what we've learned about academic reading so far. Get into a routine. If you have a regular time for study, you're more likely to do it. Note down key terms. There is a lot of academic vocabulary for you to learn - so keep a record. Check glossaries for new terms. Make sure you find the correct meanings for words and phrases that you read. Make sure you read all the information required for your assignments. Don't miss out anything important! Read broadly – don't just read the parts you think will answer the question. Read more so that you understand the background to your assignments. 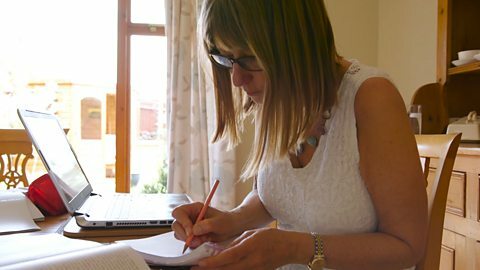 There's lots more about Juliet and her distance learning experience that you can see by visiting our partner, The Open University. Click on the link in the 'Where next?' area to find out more.